Real-Time Bank Processing System | Automated Systems, Inc. The Insite iTeller solution provides tellers with an enhanced teller platform combining an advanced bank transaction processing system with extensive reporting capabilities, and convenient access to customer account information. 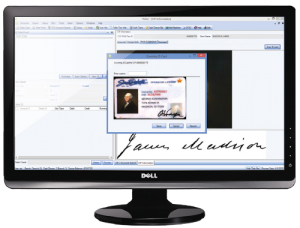 Built to operate within a Windows-based environment, iTeller’s™ controls and onscreen display are instantly familiar to any user with Windows experience. Individual screens organize customer information into distinct sections that are easily navigable by busy tellers, and iTeller’s™ Teller Cash and Teller Proof screens allow maximal transaction capabilities with minimal navigation required. iTeller’s™ comprehensive controls allow users to navigate and perform tasks using only a keyboard or a combination of keyboard and mouse. With its highly-customizable display settings, iTeller™ can adapt to any user’s control and display preferences, enhancing flexibility and shortening learning curves. Empower your tellers and increase customer satisfaction with Insite iTeller, ASI’s bank item processing system. Featuring full integration with the Insite Banking System and Insite Check Imaging systems, iTeller enhances customer satisfaction with shorter lines, more extensive and up-to-date information, and quicker transaction processing time. The multi-layered functionality of Insite iTeller represents the next evolution in banking. From their windows or stations, tellers now have unparalleled capabilities and real-time access to database and check imaging applications. Banking System™ will enjoy complete integration with iTeller and Insite Check Imaging™. iTeller users can view check images stored on Insite Check Imaging™ servers, and check images created in iTeller can be maintained within Insite Check Imaging™. 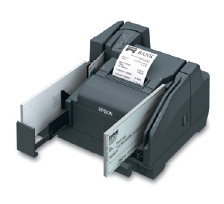 iTeller also works with many brands of check scanners and banking printers, including the Epson® TM-S9000 printer. This Check 21-ready printer is the only inkjet printer with integrated digital check imaging, making it an ideal partner for iTeller’s scanning and printing options. Additionally, iTeller is configured to work with a signature pad. 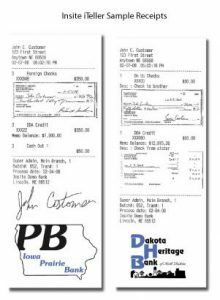 A signature pad allows your bank to capture a customer’s signature for cash out transactions, store their signature in a virtual ticket, and print the signature on their receipt. Increased capabilities allow your tellers to better utilize existing hardware and software, and with their ability to scan checks immediately upon deposit, your backroom operations will become faster and more efficient. In order to protect your bank and customers from money laundering and other illegal financial activity, iTeller™ also includes a Currency Transaction Reporting (CTR) feature. The CTR feature instantly alerts tellers when a customer has exceeded the daily transaction limit, ensuring your financial institution’s protection and compliance with the regulations of the Bank Secrecy Act (BSA), the Financial Crimes Enforcement Network (FinCEN), Anti-Money Laundering (AML) rules, and the Office of Foreign Assets Control (OFAC). These federal entities track potentially suspicious transactions to prevent financial crimes.